"You have been faking it? With me, Robbie Williams?" 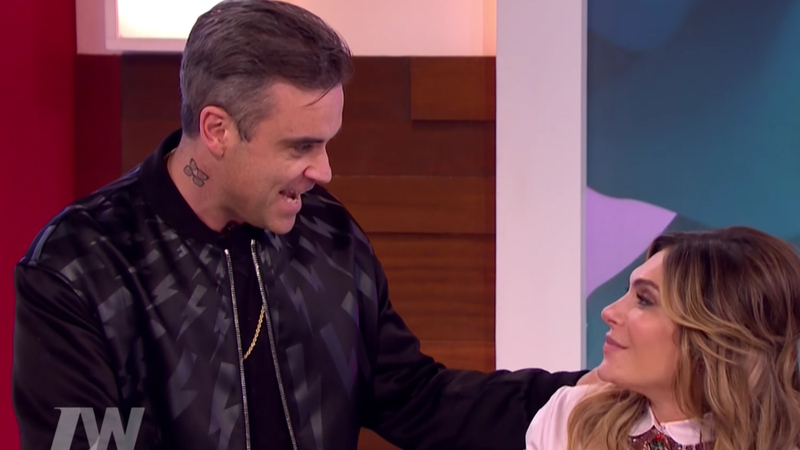 Robbie Williams surprised ITV viewers after bursting onto the set of Loose Women this morning in an unplanned appearance. The singer’s wife actress Arya Field was appearing on the show when she admitted to ‘faking orgasms’ in the past – something Robbie didn’t take kindly to. “I’ve faked it, not just with Rob, but in general,” she announced on the show. “I think I’m too much of a people pleaser to say, ‘Guys, it’s not gonna happen, I’m sorry’. I don’t want them to feel bad, I want them to be encouraged by their effort. The comments didn’t go unnoticed by Robbie, who came out from the Green Room after the break to surprise Arya.